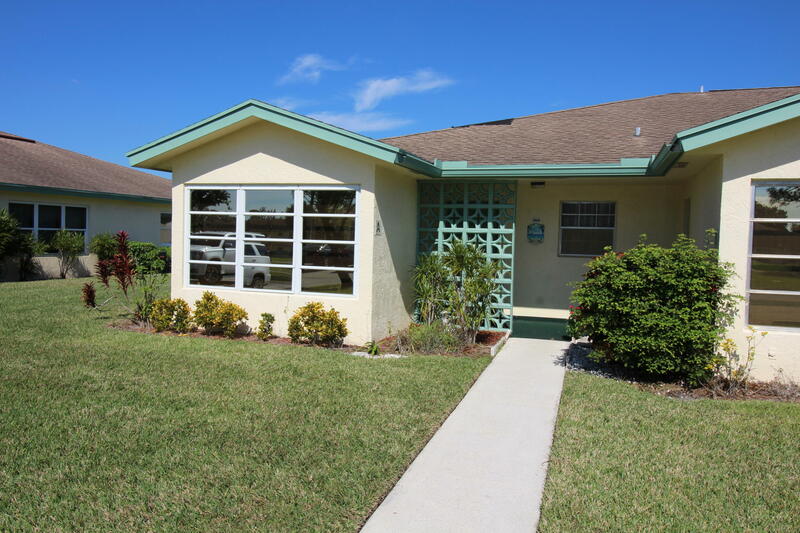 Completely renovated 2/2 plus Florida room. Best Deal in the Community!!! Laminate flooring throughout, granite countertops in bathrooms and kitchen, Stainless Steel appliances. Villa is located close to the clubhouse and community pool. Active community, close to shops, I-95 and the turnpike. This unit is perfect for a part time or full time resident. Welcome Home!